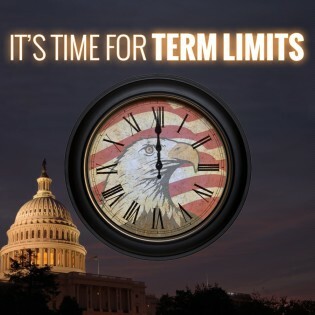 "Support Our Petition For Congressional Term Limits"
There are urgent problems facing our nation that must be confronted immediately. Border security. Sanctuary Cities. Out of control spending and debt. But Washington is broken…and it all leads back to career politicians on Capitol Hill who don’t want to change the failed status quo. This is why congressional approval ratings are stuck at 16 percent. The American people realize the problem all too well; that’s why 80+ percent of us support term limits for Congress according to polling data. Thankfully, President Trump - the ultimate political outsider - understands the problem too. That’s why he supports congressional term limits as well!